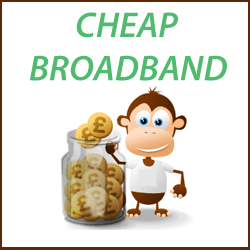 How to get a cheap broadband deal and save? If just broadband with no calls is what you need, then, just search and compare deals accordingly. After being a year or two with your current broadband provider, just assess how good the service has been or whether you pay more for it in comparison with other providers. If you are not satisfied or find low-cost deals with great value in the market, just change the service provider by the end of contract term. Phone line rental cost can be avoided or greatly reduced if you choose broadband packages without line rental or pay upfront line rental. Virgin Media cable broadband is great option, if you prefer broadband without line rental. If you need to make phone calls and choose broadband & line rental bundle, then, upfront or prepaid line rental can help you get some discount on the line rental cost. You can save on Installation and activation cost when you choose bundles which come without these one-off charges or get waived when you sign up on special offers. To avoid extra data charges (which usually happens when you are on capped package), make sure you monitor your usage periodically or choose unlimited broadband plan to avoid such charges. Penalty charges like early termination fee will apply, when you cancel your current service before the contract ends. To avoid it, switch to new provider by the end of contract. Choose standalone broadband or a bundle (broadband, phone and TV) according to your needs. Buying two or more services from the same provider can offer you great savings, discounts, gifts and vouchers. Choose short term contracts (1 month or 6 months) or standard contracts (12 or 18 months) as per your requirements. When you sign up for a longer term, you are more likely to get more benefits like free installation, discounts and free hardware etc. Compare broadband deals from the top rated providers so you can find the best and cheapest that can rightly fit your requirements. Analyse from all angles – speed, reliability, customer support and value for money. Reading authentic customer & expert reviews can help you find the perfect deal.